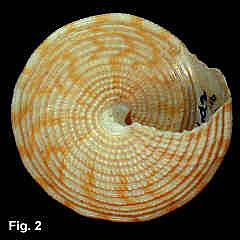 Description: Whorls straight sided, sculptured with six or seven beaded spiral ribs; basal margin keeled with a double or triple rib, the lower section smooth. Base flat, with 10-14 spiral ribs, smooth towards the periphery, becoming strongly beaded towards the centre. Outer lip simple, interior nacreous. Columella smooth, with a weak tooth at base. Umbilicus closed. Colour fawn with irregular tan maculations, columella and aperture white. Size: Up to 38 mm high. Distribution: Endemic to Australia; Nowra, NSW, to Albany, WA, including Tas. 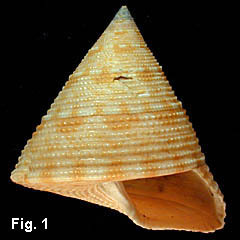 Habitat: Subtidal; known mainly from beach shells. Rare in NSW. 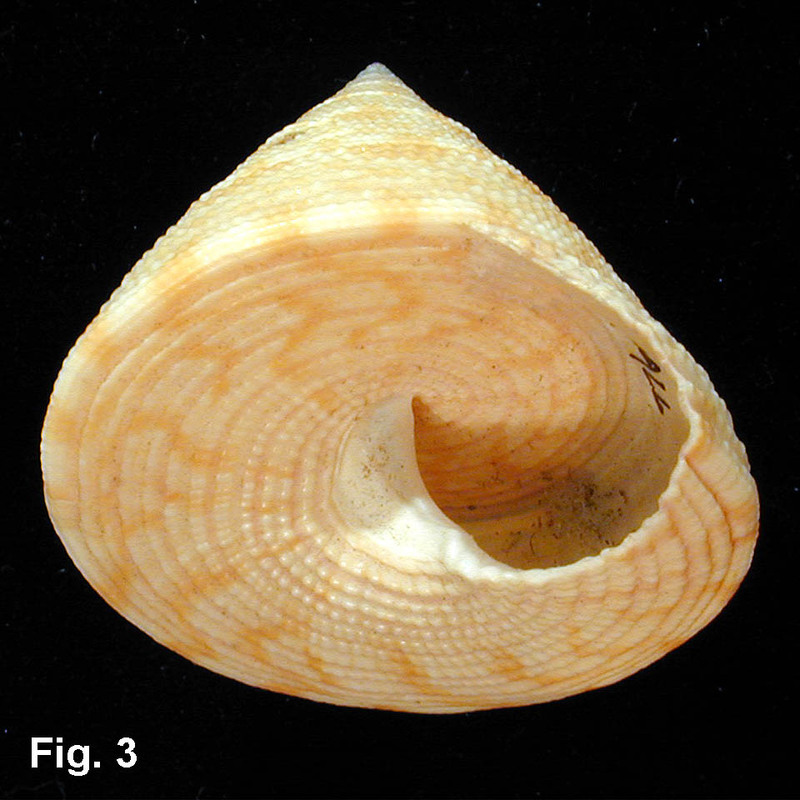 Comparison: Differs from Astele speciosum by having the basal margin strongly keeled, and the basal ribs beaded.